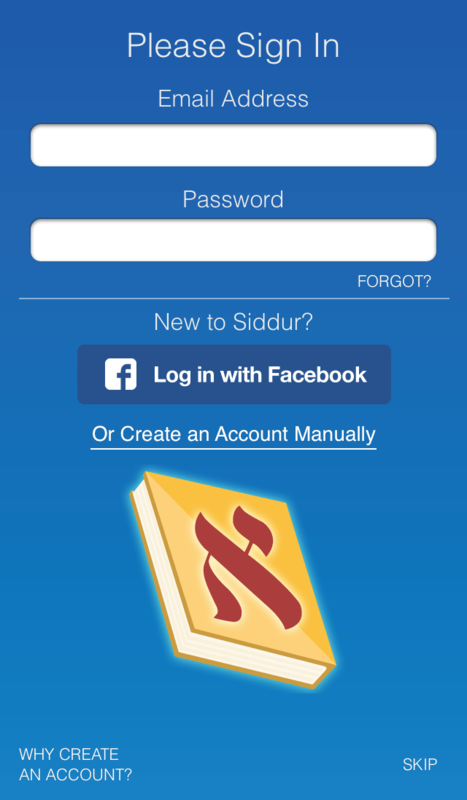 Today we are excited to announce one of the largest upgrades to the core of our iOS Siddur since we launched the Siddur back in August 2008. 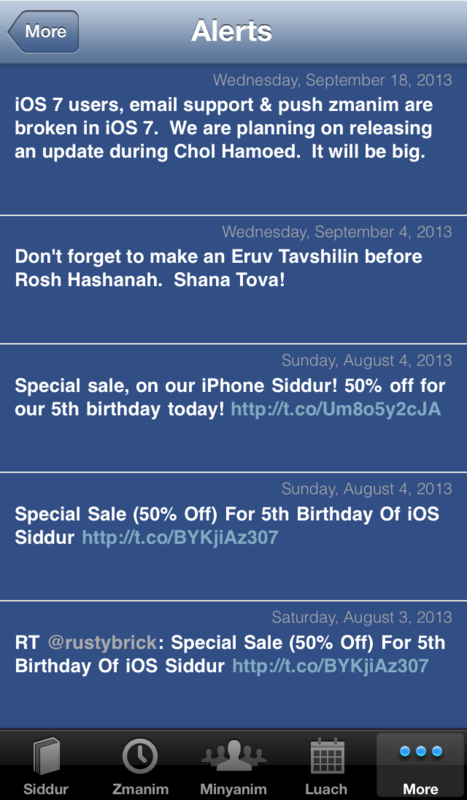 The core backend and engine for Siddur has been rewritten, mostly because Apple forced us to with iOS 7. That being said, it now means the data you put into the Siddur can be saved online and then pushed to other iOS devices that you own. 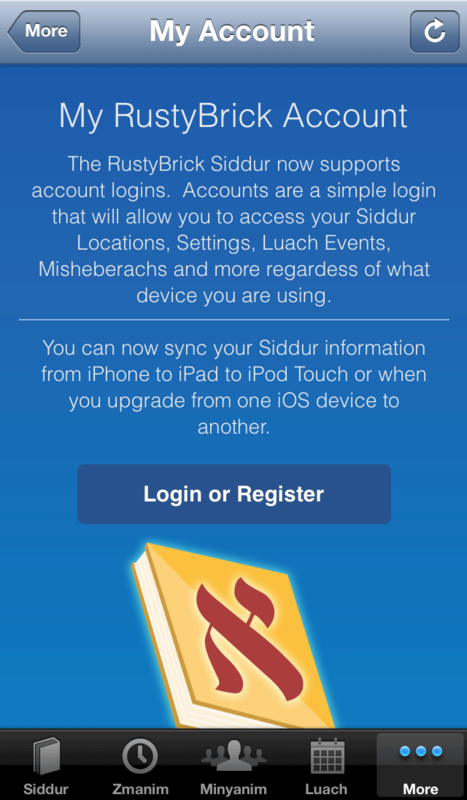 Many iOS Siddur owners have multiple iOS devices. Wouldn't it be nice to be able to push the data in your iOS Siddur from one device to another? We built RustyBrick Accounts in order to enable you to do just that. You can now register an account with us, we will store your data online, which will act as a back up and let you (1) restore to the backup and/or (2) sync that data from your iPhone to your iPad or your iPod Touch devices. In the future, we will let you even send the data from the iOS Siddur to Android Siddur - as many users will switch phones from year to year. You'll be asked to create an account either by registering with your email address or by using a Facebook login. Once you do that, all your data from within the Siddur will be online. Then you can open the app on other iOS devices (soon Android devices) and see that same data on those devices as well. So if you add a Yahrzeit on your iPad Siddur, the next time you open the iPhone Siddur, it will automatically show up there as well. Simply, there were functions that did not work in the Siddur after the upgrade. Even our email support feature did not work. Push Zmanim didn't work as well. 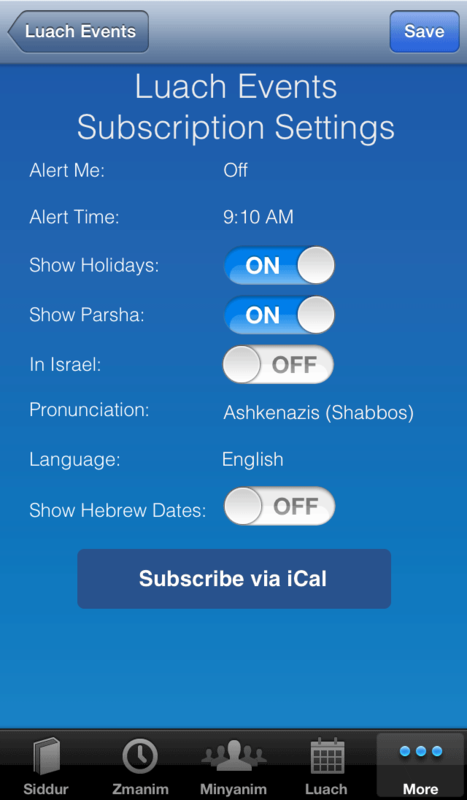 Most of the iOS Siddur worked fine but there were a couple functions that did not work. In addition, there were several optimizations and overall fixes made with this. Finally, we should note, this is not a iOS 7 design update - so the flat design is not done yet. Over a two month period this past summer, we went through all the Nikud in most of the content and fixed up the issues and placement of the vowels. The overall Nikkud or vowels should be vastly improved with this update. It was a huge under taking that we hired interns to do over the summer. We know it isn't 100% perfect, but it is close. We hope you notice and enjoy the changes. A common question we get is "where did my upgrade go?" When you upgrade and add English or Push Zmanim or other upgrades within the app, sometimes, for some reason, it goes missing. We added a simple to use "restore" option, so that users can quickly restore in-app purchases within the app. We also improved the sales pages for most of the in-app purchases to show in greater detail what the benefits are for all the in app-purchases. Such as push zmanim, english upgrades and much more. 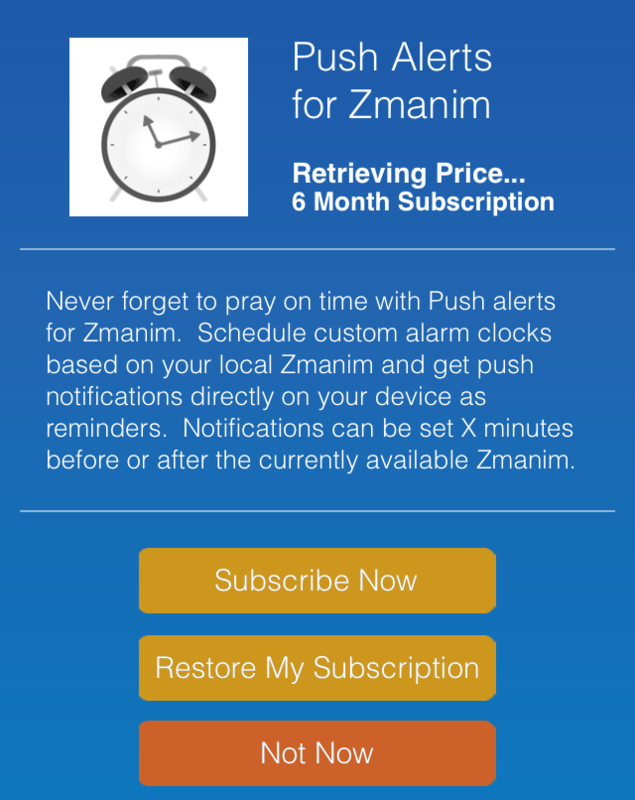 Here is a screen shot showing the restore button and the new push zmanim sales page. We improved the push zmanim feature so that it auto-renews and is more stable. There were lots of complications with the old model and we have adopted a new functionality for in-app renewals. There are many users who do not want access to the web via our app. In our previous editions, the alerts section loaded a web view of our Twitter page. We removed that and now show the alerts natively. When you click on a link within that view, it specifically asks if you want to load mobile Safari. If you disabled Safari within parental controls, it won't let you load the web. Originally, when we launched the ability to sync your custom Luach Events with your iOS calendar, we had to do a hack to get it to work. Apple didn't have a method for us to integrate with the iOS calendar. Now Apple does, so we have improved the interface between the Luach Events and your iOS calendar. Here is the simplified screen.